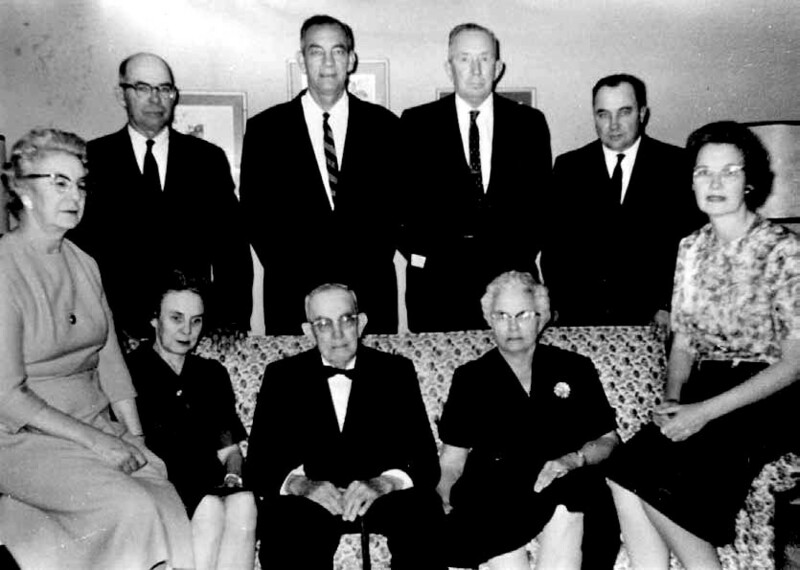 Standing: Thomas Franklin Foster (1903-1971); James Earl Foster (1911- ); Ernest Osber Foster (1899-1969); Woodrow Wilson Foster (1918-2006). 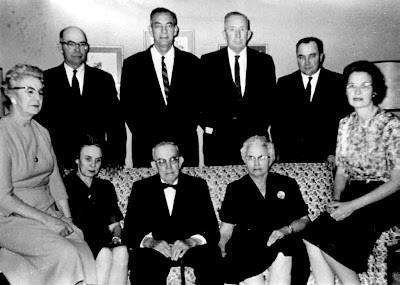 Seated: Lillie Eva Foster Hudson (1906-1989); Nettie Ella Foster Hudson (1908- ); Thomas Tilden Foster (1876-1966); Annie Dillard Foster Satterfield (1901-1989); Mattie Womack Foster Hooper (1914-). Date of Photograph: Before 9 December 1966 (death date of Thomas Tilden Foster).